Why do Malaysians continue to support a government that has been abusing its power for so long that its credibility has become thinner than toilet paper? Are Malaysians really too naive, gullible or blind to see that it is their failed collective political will that is the stumbling block to any real national progress? One may of course argue that there is no such thing as a perfect government, that Utopias exist only the minds of idealists and romantics, or that the human mind, as played out in the real-world political arena, is far from being plain, perfect or even honest. 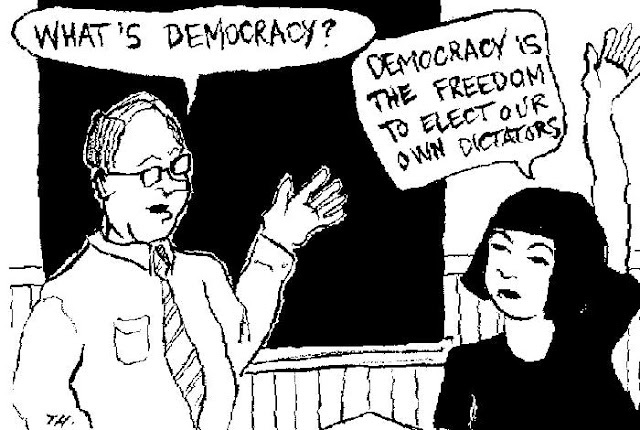 Cynics say we deserve the government we elect. But Barisan Nasional apologists tell us to look into what they vaguely refer to as “the statistics,” as if to say that these would show BN’s legitimacy as the ruling coalition in Malaysia. Still, does it make sense that in 2008 only 4.08 million of 7.94 million voters chose BN to rule over a population of some 27 million? Is it fair for a minority to determine the future of the majority or the nation’s destiny? The sad truth about the Malaysian majority is that its collective mindset is so passive—some would say deformed—that it does not seem interested in bringing about the revolutionary changes our nation needs for its betterment. General elections reveal another shortcoming of the collective Malaysian mindset: it lacks focus on national issues. Most of us are foolish, naïve, apathetic and gullible, distracted by side issues thrown at us by power players. 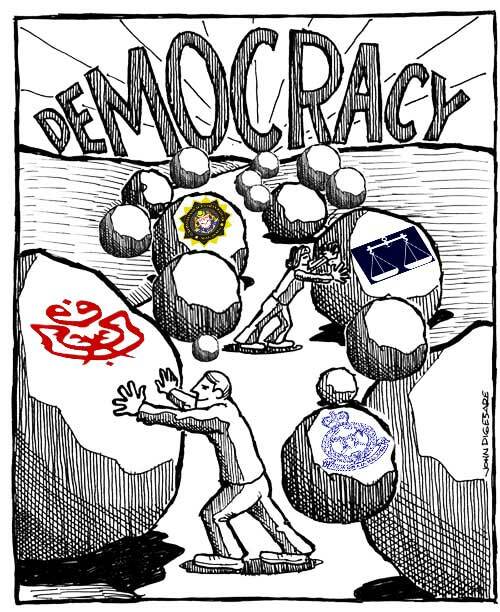 Nevertheless, our national consciousness continues to be shaped by recent political trends and the increasingly strident voices of public interest organizations against the BN regime’s excessive control over civil society and its undemocratic tactics in undermining the opposition coalition. Is the BN a good and credible government? Most ignore the regime’s propensity to depend on draconian measures against political opponents: the Internal Security Act, the Sedition Act, the Printing Presses and Publication Act, the ban on rallies and a host of other instruments of power abuse.